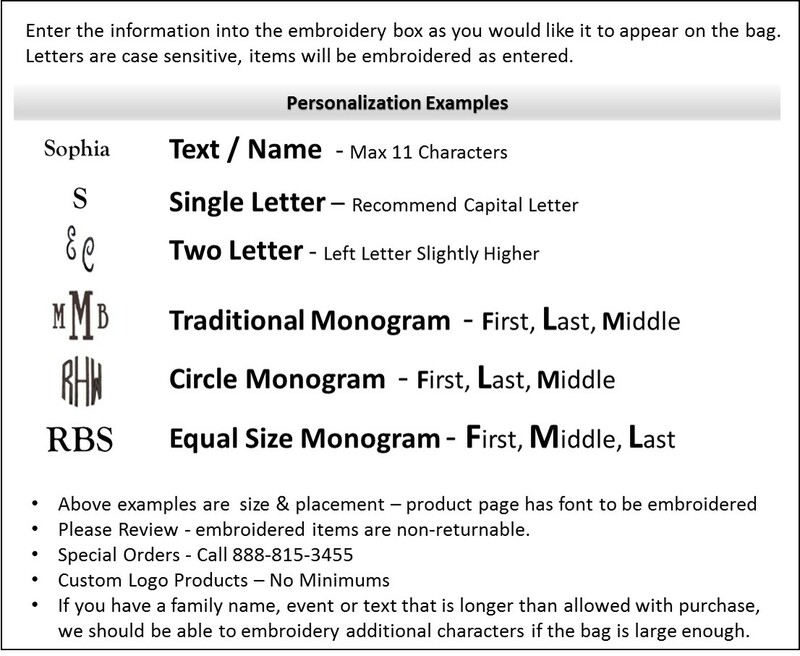 Personalized tote bags for women. Just in, basic black and priced right. This could be the ultimate tote bag. A classy micro-fiber cotton blend fabric with faux leather handles and a scallop edge along the top of the tote. Lightweight for the city shopper or work tote. Could also double as a travel tote. Beautiful with added embroidered personalization. NOTE...ACCENT MONOGRAM WILL BE 1 1/2" AND PLACED BETWEEN THE HANDLES. The personalized tote for women measures 22"W x 15"H x 6" across bottom.